The pop artist, Charlie Puth, has announced a North American tour, called “The Voicenotes Tour”, for July through September. He is touring in support of his upcoming album, Voicenotes. Hailee Steinfeld will join the tour, as support. 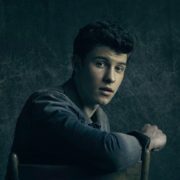 The singer-songwriter, Shawn Mendes, has added dates to the North American leg of his “Illuminate World Tour,” for July through September.